All your home or office furnishings will look better and last longer if they are cleaned on a regular basis by an IICRC-Certified professional. In fact, many manufacturers recommend professional cleaning to maintain warranties. The Institute of Inspection, Cleaning, and Restoration Certification (IICRC) is an international, independent, non-profit certifying body. It was founded in 1972 to set standards for the cleaning and restoration service industry. The IICRC symbol is your assurance that the firm you hire has pledged to provide a qualified professional to care for your carpet, furnishings, and flooring. IICRC Certification cannot simply be purchased. A Certified Firm qualifies by meeting rigorous standards of business ethics and expertise. 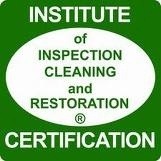 SteamMaster Restoration and Cleaning is an IICRC Certified firm. SteamMaster’s IICRC trained technicians have been offering a wide variety of professional Restoration and Cleaning services since 1978. Our technicians seek to better themselves in various disciplines and are constantly seeking to improve by attending industry training and certifications. VAIL, Colorado — Three Vail residents have been arrested for spraying graffiti from Golden Peak west along the Gore Valley Trail, all the way to the Vail Mountain Plaza parking garage, Vail police say. More than $10,000 in damage was done to Vail Resorts and town of Vail property on Wednesday morning, police say. The suspects have been charged with theft, second degree burglary and criminal mischief. Theft is a misdemeanor while the other charges are a class four felony, police say. 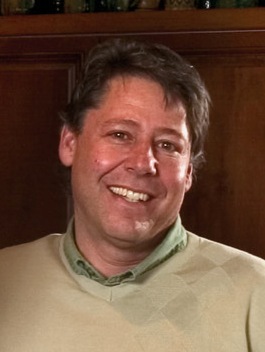 Officers and Vail Resorts security used surveillance footage to identify the parties involved. Confessions were obtained from all three suspects when interviewed, police say. Margret Prowell, 20, Robert Cooper, 20, and Jay Osborne, 19, were booked into the Vail Police holding facility on a $7,500 bond, police say. The suspects also are accused of stealing several cans of spray paint used in the vandalism, police say.